Exartizo Images: WOW! WHAT IS THAT LIGHT? WOW! WHAT IS THAT LIGHT? I know the trees are starting to turn, but I am not ready to let summer go just yet. This will be the last posting of our beautiful summer trees here in the Adirondack Region of New York State. I love this picture my husband had taken of this beautifully shaped maple tree. I only wished we remembered where this tree was; I would love a picture of it in each of the four seasons. I like to think that if I walked behind that tree, it would be the Glory of our Heavenly Father. Would that not be so spectacular? Oh! but did I forget? 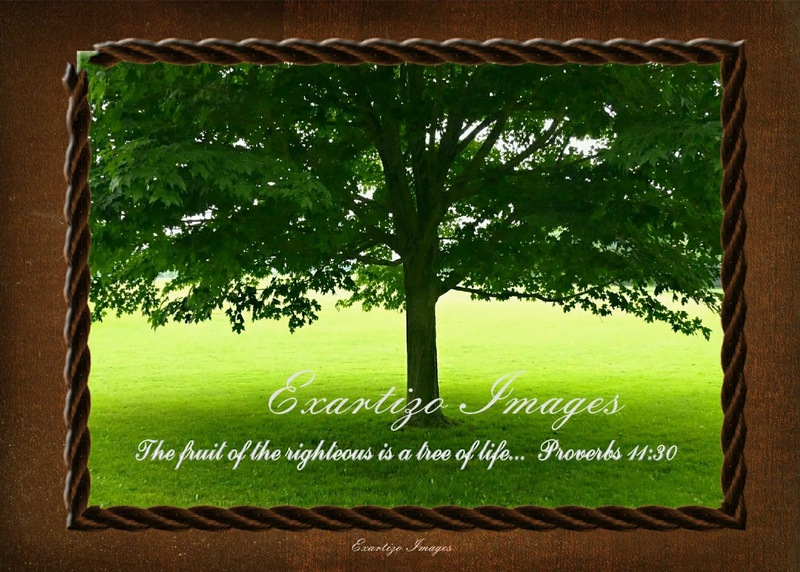 As the verse says, "The fruit of the righteous is a tree of life." Well, what is that life in us? It is not the greatness of ourselves, it is His spirit in us. That light is with us and in us, every where we go. YES, we are so very blessed! Before I got to the verse about the light, my eyes were drawn to it. The dark green in the immediate shade of the tree accents and amplifies the captivating light from beyond. Tell your husband I love this photo.